Is your preschooler learning the alphabet but not quite comfortable holding a pencil yet? 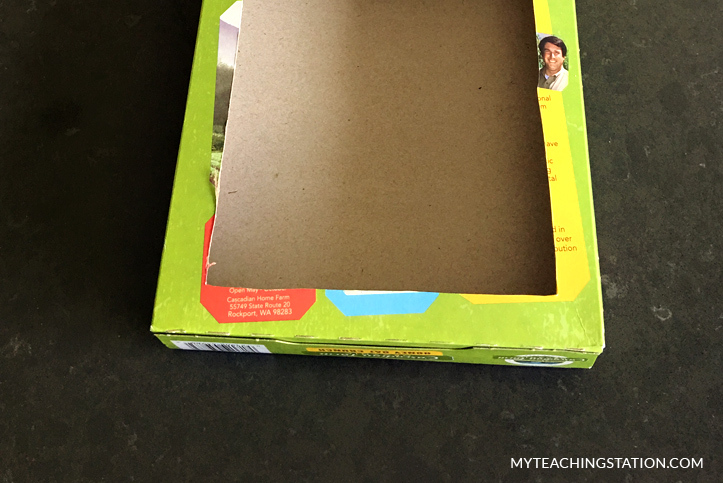 Or maybe your child is showing signs that they don't want to trace letters any longer? 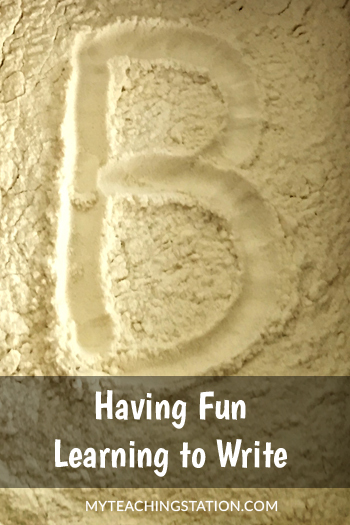 If so, this super easy DIY alphabet flour box is your answer! 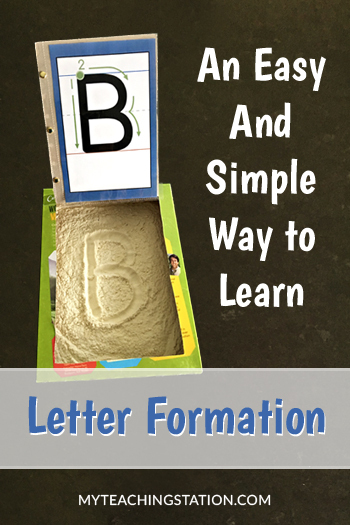 You don't have to wait until your child has developed handwriting skills for them to learn proper letter formation. 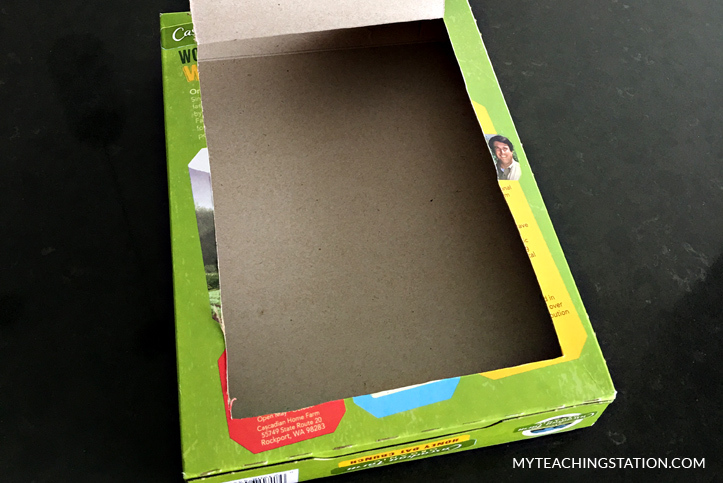 Create a simple DIY flour box to help their little fingers do the work or even let your kindergarteners practice writing for fun. 1 sheet protector (5 ½ x 8 ½). 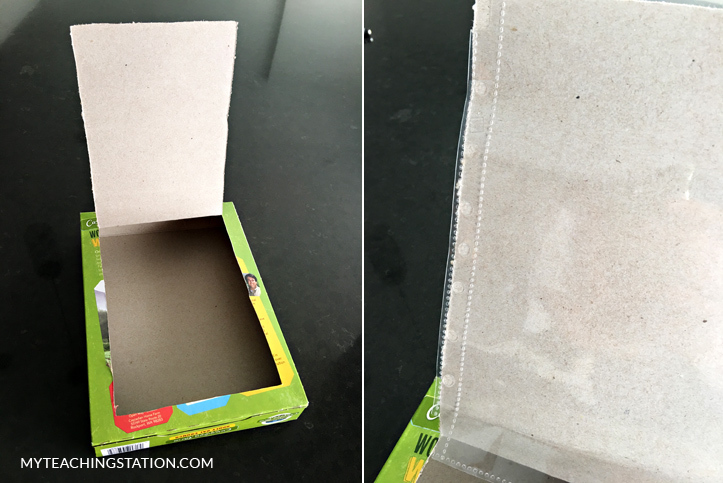 Use the craft knife to cut an opening on the front side of the cereal box as shown below. 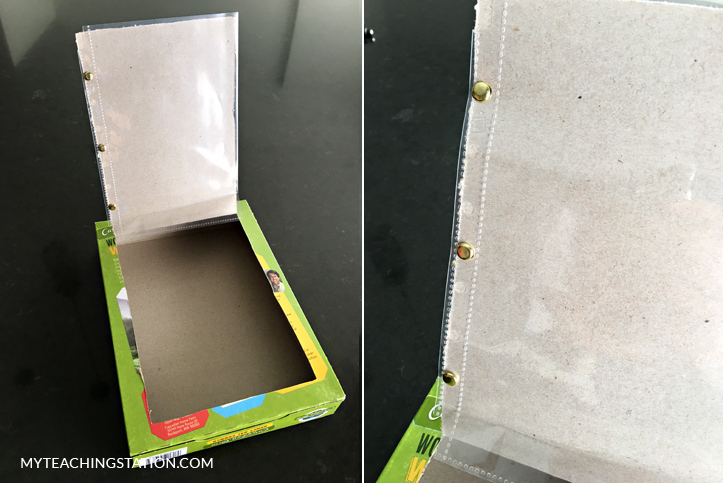 Open the cereal box by lifting up the flap and align the plastic sheet protector against the opening to determine where to punch the holes. 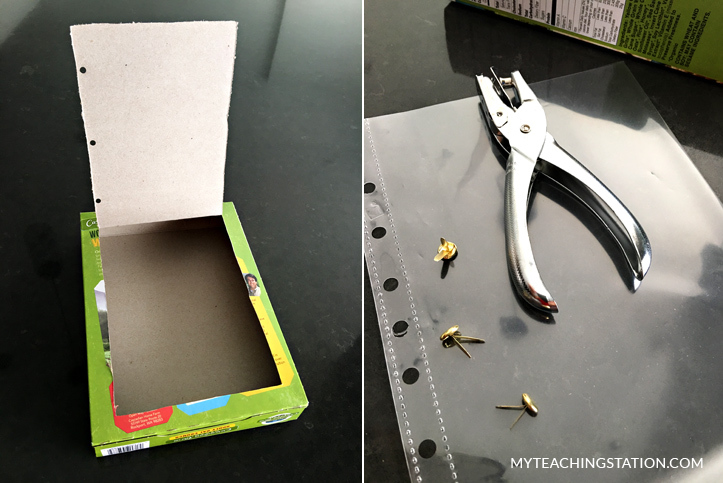 Punch three holes in the cereal box and secure the sheet protector with the paper fasteners. 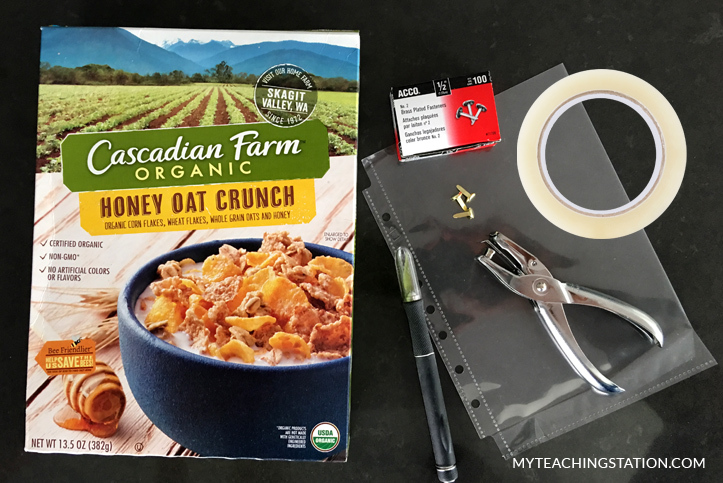 Next, seal the sides of the cereal box with packing tape to prevent the flour or salt from leaking. 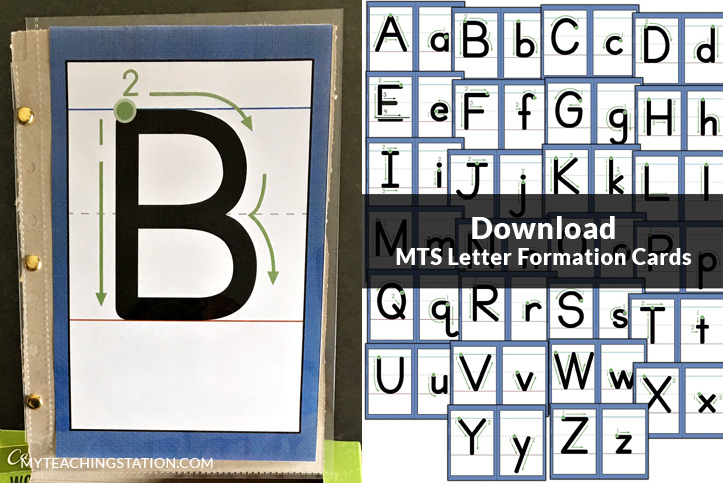 Place the alphabet letter formation cards inside the sheet protector. 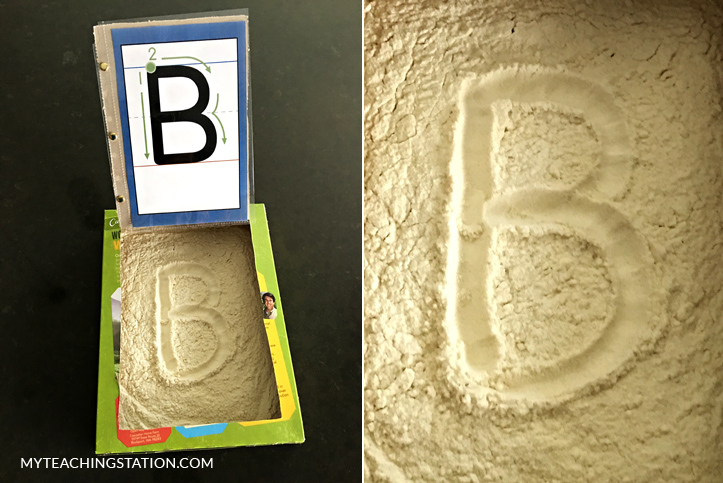 Insert flour or salt, gently shake from side-to-side to smooth out the grains and start writing letters!